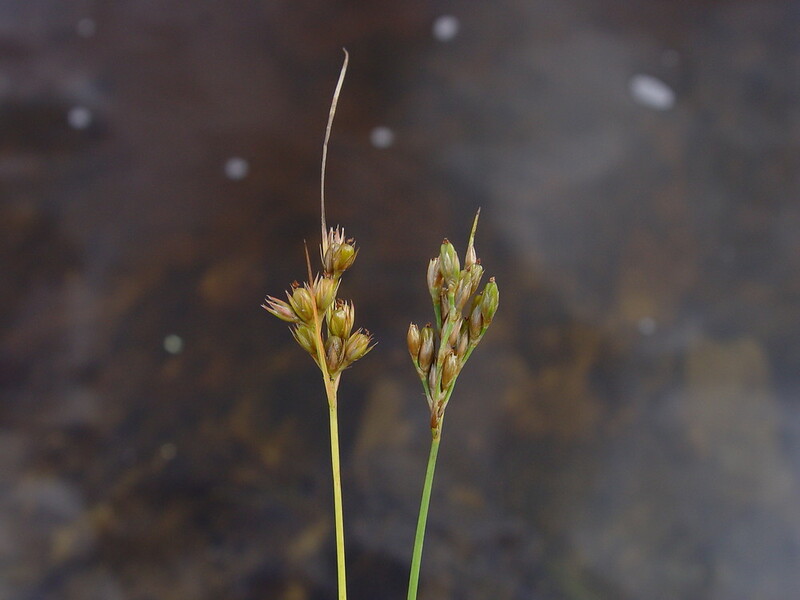 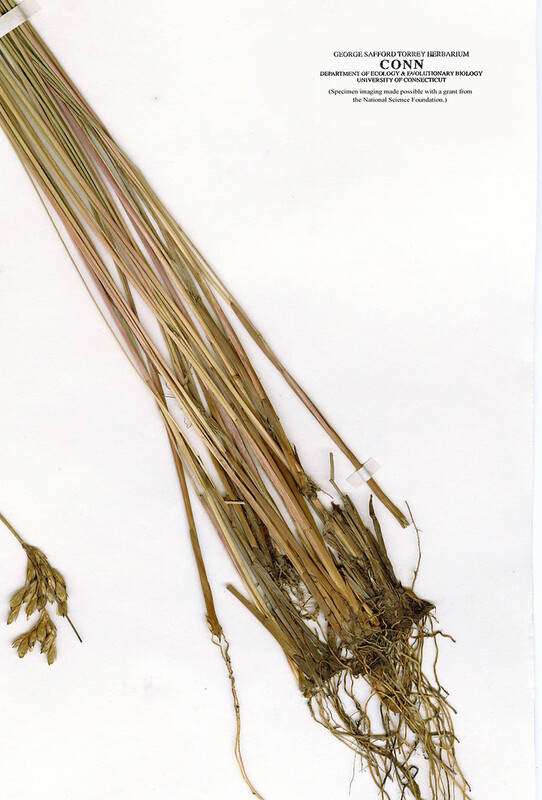 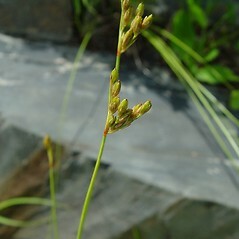 Vasey's rush is very rare in New England, with a few populations in Maine and Vermont. 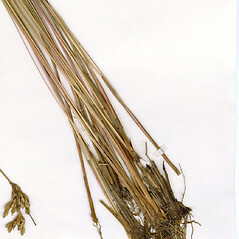 It is typically found on high-pH river shores and low wet fields, but it is occasionally found on roadsides and other disturbed areas. 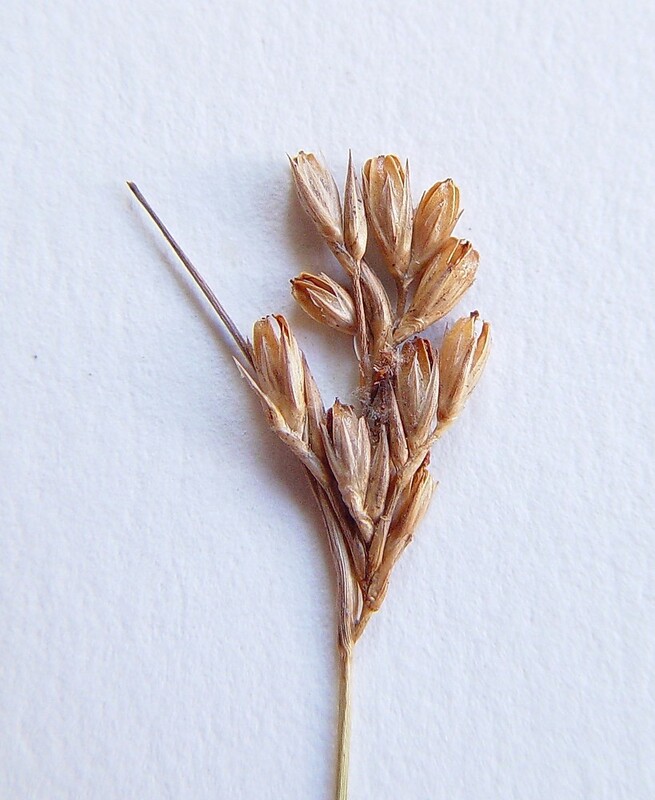 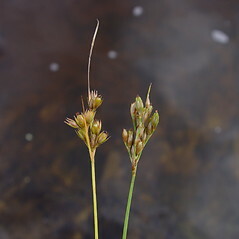 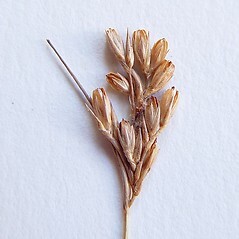 seeds with inconspicuous pale tails at each end less than 0.2 mm long, and capsules mostly 2.9–3.5 mm long, brown to dark brown (vs. J. vaseyi, with seeds with conspicuous, slender, slightly curved pale tails at each end 0.2–0.4 mm long, and capsules mostly 3.8–4.7 mm long, golden brown to light brown). Vasey’s rush. 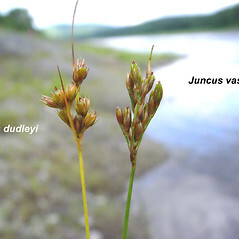 Juncus greenei Oakes & Tuckerman var. 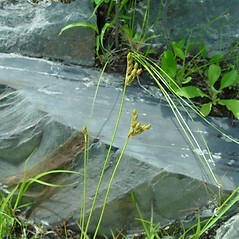 vaseyi (Engelm.) 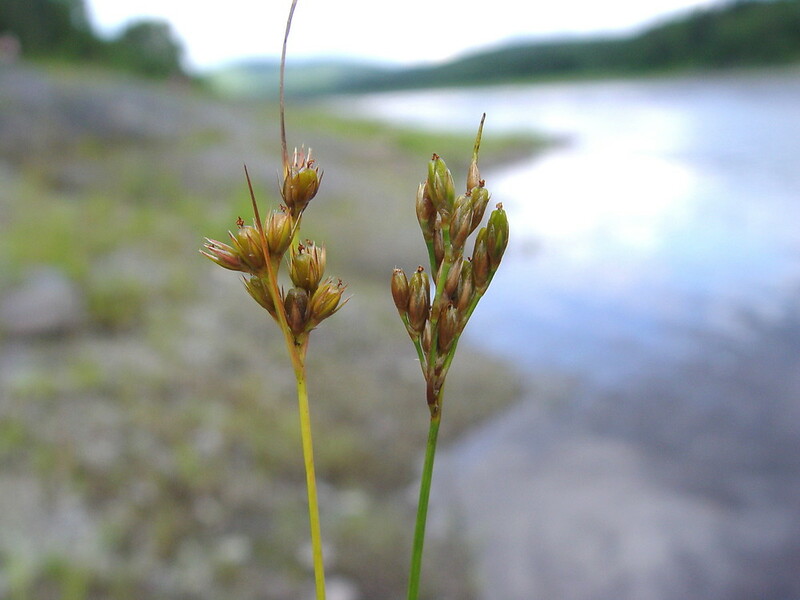 Boivin • ME, VT. High-pH river shore outcrops, limestone headlands, low boggy fields and ditches, rarely on roadsides and other places with disturbed soil. 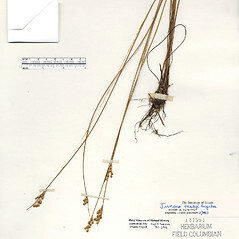 35×38. 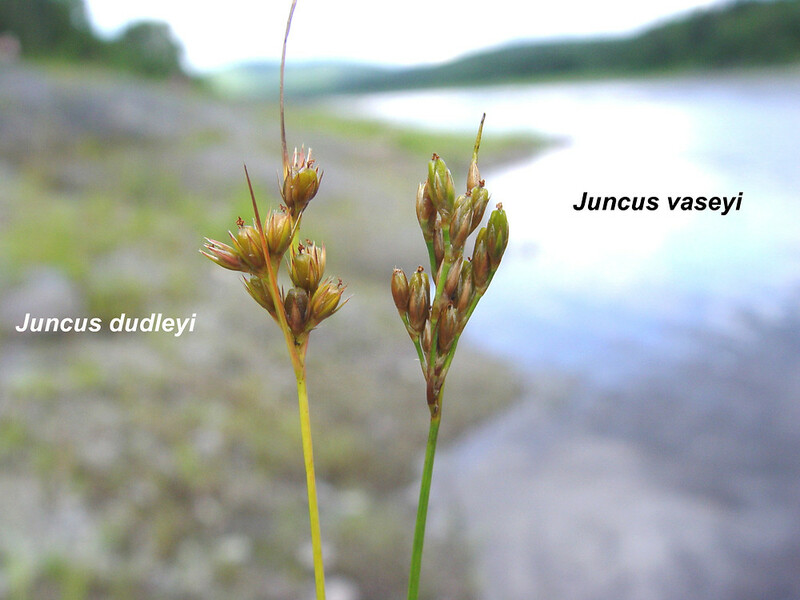 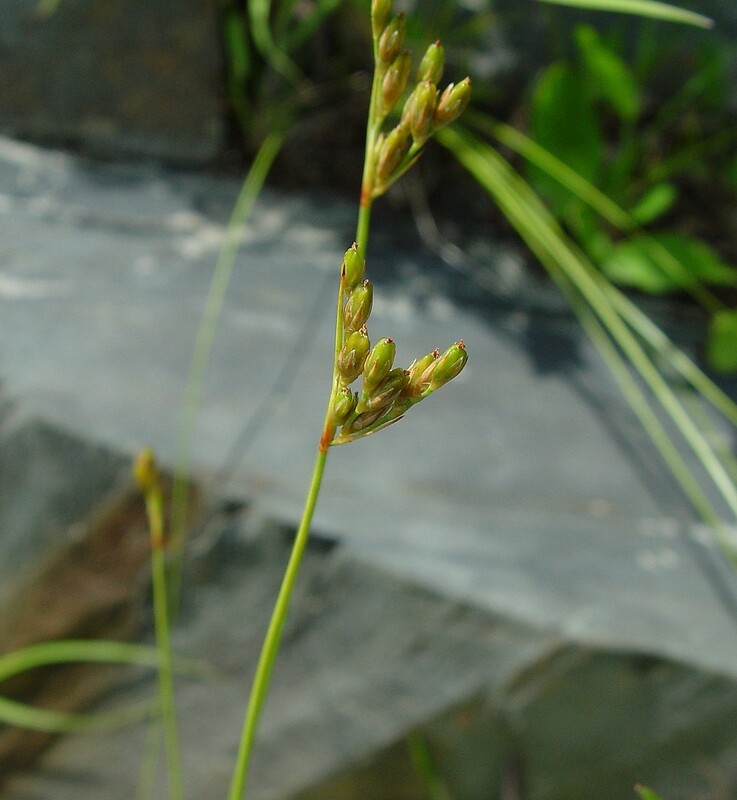 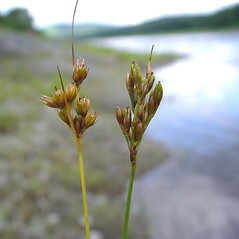 Juncus tenuis × Juncus vaseyi → Juncus ×‌oronensis Fern. 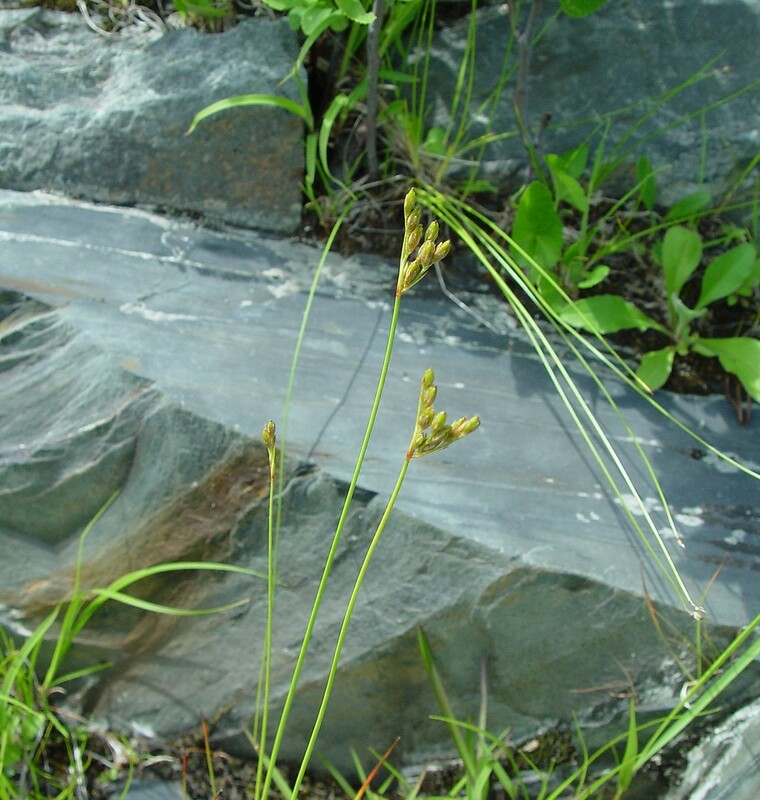 is a historically occurring hybrid known from two separate locations in ME (Franklin and Penobscot Counties). 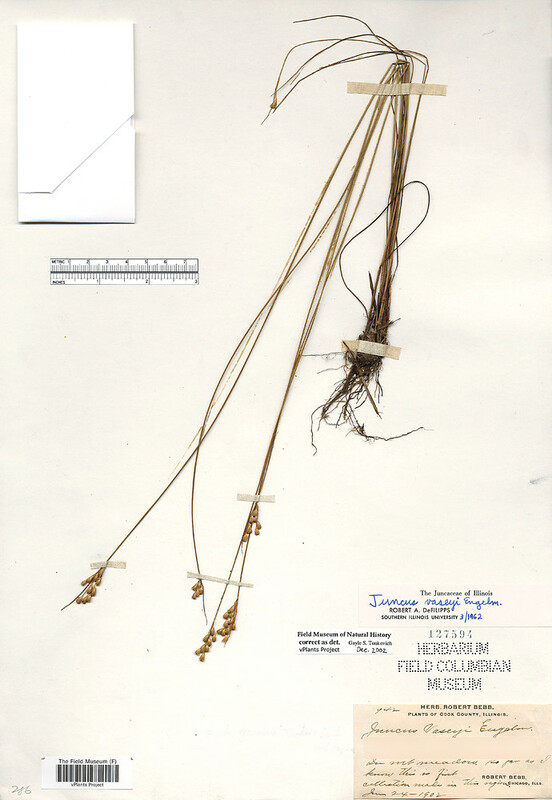 It has caniculate leaf blades (i.e., terete with a channel on the upper surface), seeds 0.6–0.8 mm long with short white tails (the seeds of J. tenuis are mostly 0.6 mm or shorter and those of J. vaseyi are longer than 0.8 mm), and conspicuously secund flowers that mature as capsules shorter than the sharply pointed tepals.